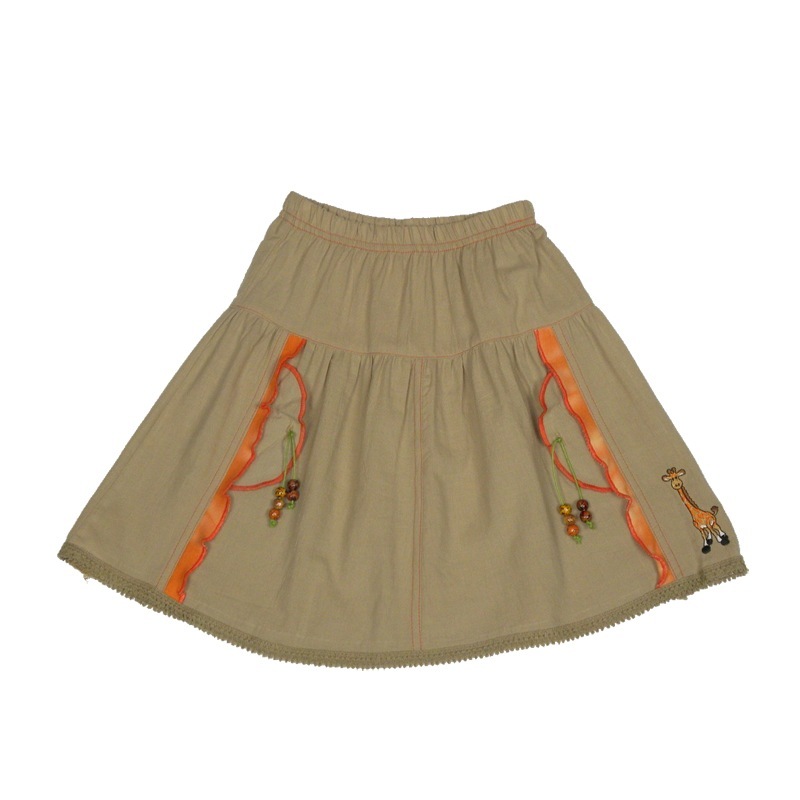 In a cool, light khaki colour, this neutral skirt with an elasticised waist is perfect for our hot Summers. 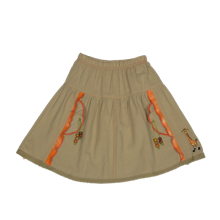 Gorgeous little girlie details adorn this skirt with orange vertical ruffles & beautiful little ribbons holding typical African beads. A cute embroidered giraffe sits just above the hem line.